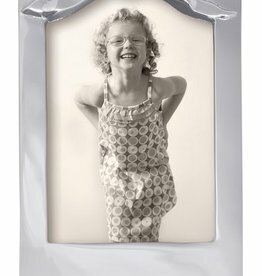 An adorable, sculpted Bow adorns this handcrafted and 100% recycled 4x6 Frame. 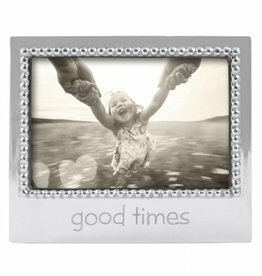 Display an equally adorable picture of your child or grandchild. 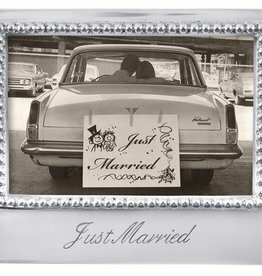 Display their latest photo in this frame with beaded detail. Fits a 4 x 6 photo. Timeless words! 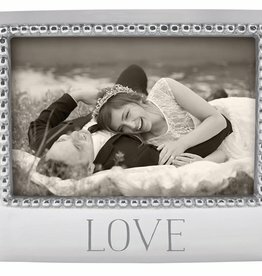 Celebrate and capture your love with our LOVE 4x6 Frame. Handcrafted from 100% recycled aluminum. Display your favorite candid shot in this inspirational frame. 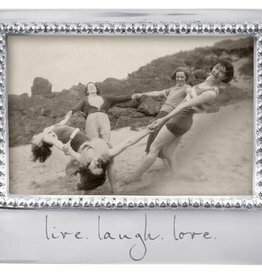 Let it serve as a daily reminder to live, laugh and love! 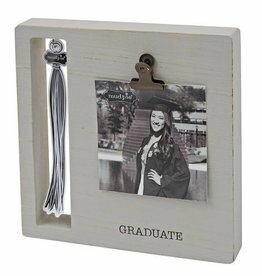 Celebrate the major milestone in your graduate's life with this wooden block frame by Mud Pie. 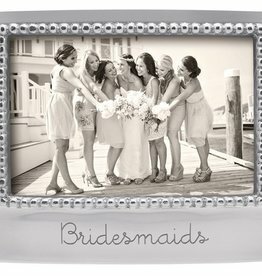 The metal binder clip allows you to display a cherished moment from the day, while the hook makes for the perfect place to hang the tassel as a keepsake. 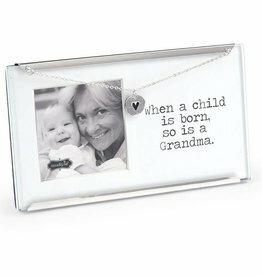 Glass clip frame with heart charm and chain and printed sentiment mat board holds 2 ½" x 2 ½" photo. Stands with easel. Dimensions: 3 1/2" x 6 1/2"